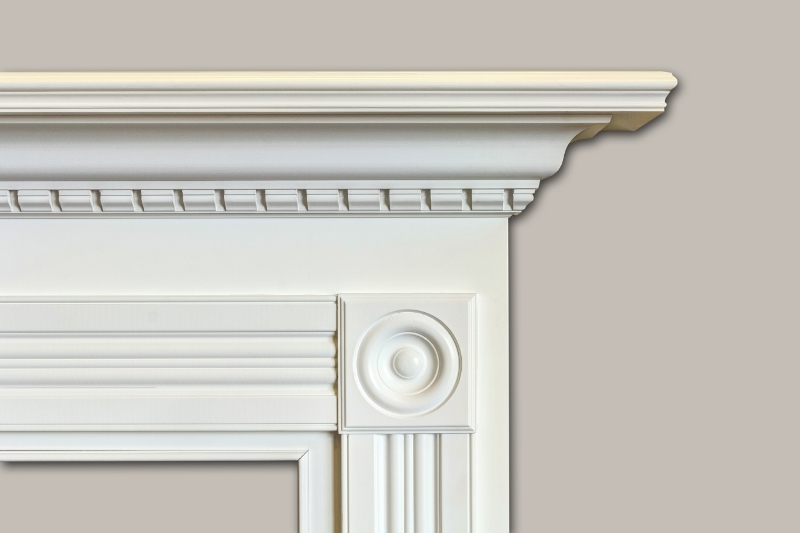 The Mulholland mantel is beautifully trimmed with dentil crown, rosettes and mantel moulding. 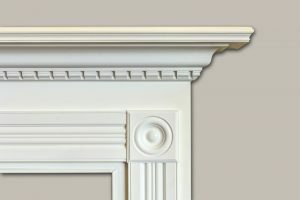 Accent your traditional home decorated in the Queen Anne or Regency style. 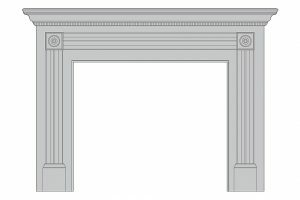 Made locally in Portland, Oregon. 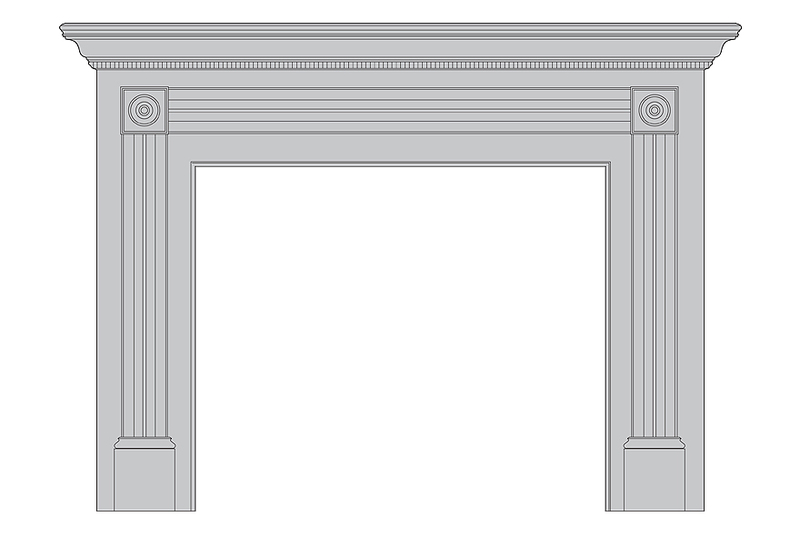 All of our mantels are completely assembled and ready to finish and install.